Tomorrow, we will be celebrating my daughter’s 7th birthday. For her theme, she has chosen a “Fancy Nancy” tea party. 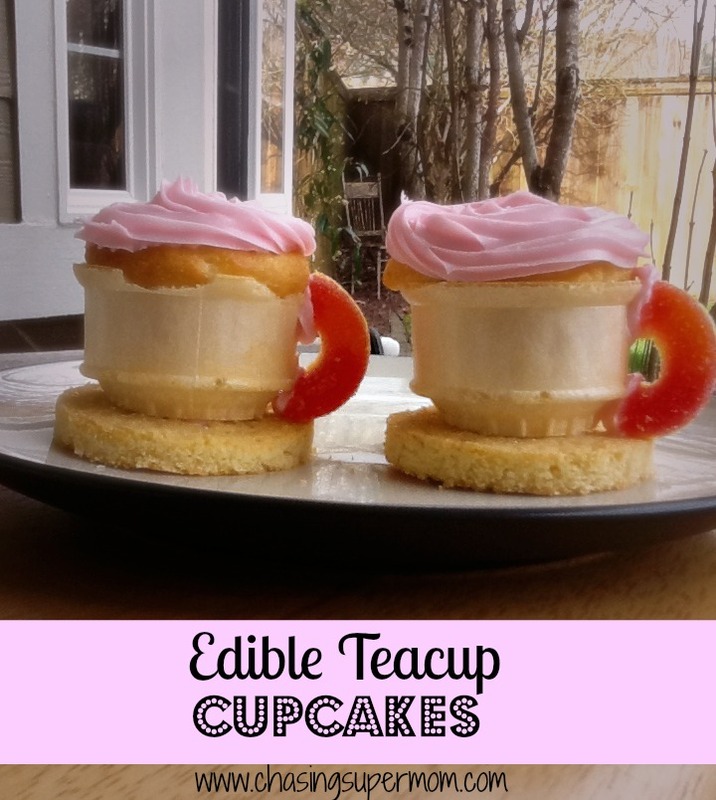 Since 7 year old girls aren’t all that fond of tea, I set out to make edible teacup cupcakes instead, and I am SO pleased with the results! 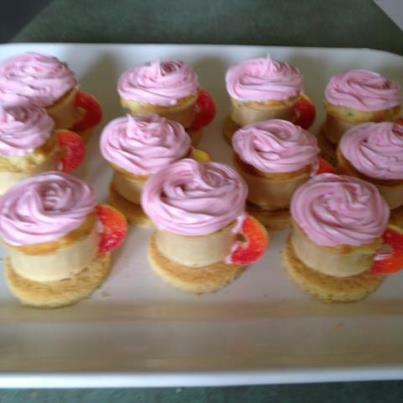 These sweet little cupcakes look super fancy and adorable, but are actually REALLY easy to make and assemble! You will be wowing your guests with these faux teacups. I mean really, who wouldn’t want some cupcake tea?! So throw on your Sunday best, set the table, invite all of the most-loved teddy bears and dolls around, and plan a tea-party with your favorite little girl. 1. Preheat oven to 350 degrees. Prepare your cake mix as directed on the package. 2. In a standard muffin tin, place one cake cone into each space. Spoon the batter directly into the ice cream cone. I used my Pampered Chef cookie scoop, and used about the same amount of batter I would to make a normal cupcake. 5. “Glue” the cupcake cup to a sugar cookie using a small dab of frosting. I found that the cookies I purchased were a bit too big, so I used a biscuit cutter to just trim them down a bit. 6. Cut the Peachy-O’s in half. “Glue” the Peachy-O half to the cup using small dots of frosting. I was skeptical that they would stick, but none have fallen off! 7. Frost your cupcakes as desired. Thanks Kathryn! I love them. I’ve already started to think of a way to make them look like mugs of cocoa for a winter-time post!